The Polished Chrome finish is chrome plating on brass or steel that is then polished. Chrome is similar to nickel in that they both have silver tones, with chrome having a slightly cooler tone. Polished Chrome may be lacquer coated but typically is not because chrome does not tarnish. 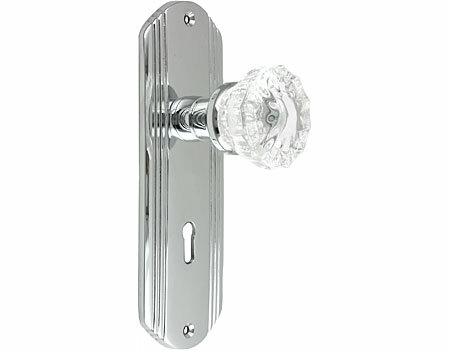 Common finish codes for polished chrome are 026, US26, 625 and PC.